An extensive range of quality back support and seat cushion products to provide everyday therapeutic support and blissful comfort. Choose from regular foam, memory heat sensitive foam or air filled seat cushions and back supports, including coccyx cut out seat wedges. Unique and exclusive to us at Bad Backs is the new Deluxe Lumbar Support, upgraded with molded viscoelastic memory foam. Ergonomically designed to promote proper posture for all day comfort, and back pain relief. Having effective lumbar support is recommended by doctors and health professionals. Perfect for home, office or traveling. 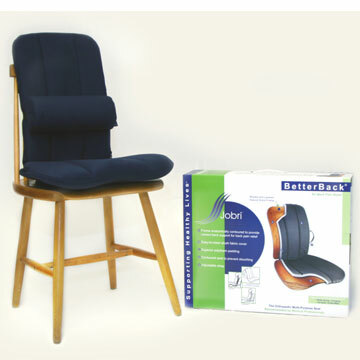 Designed with the input of medical professionals, this is a great new lumbar support, exclusive to us here at Bad Backs. 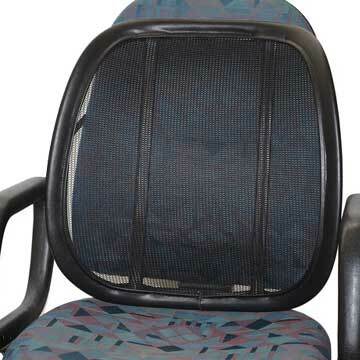 This premium lumbar support is ergonomically designed to promote proper posture for all day comfort. Having effective lumbar support is recommended by doctors and health professionals. Perfect for home, office or traveling. 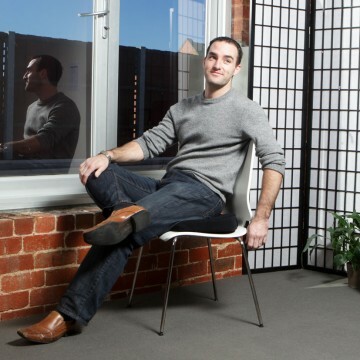 It’s design follows the natural shape of the body and transforms any seat into an ergonomically correct support system. Great for car seats, kitchen chairs, firming up a soft couch, or offering support to any recliner chair or ANY chair that needs an ergonomic feel with proper lower back support. Includes a FREE Lumbipad lumbar support that colour matches and straps onto the BetterBack. 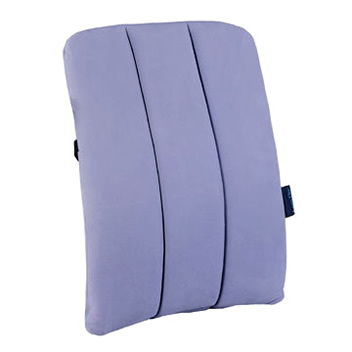 Made by Jobri, the Bifom-Pad provides multi-density lumbar cushioning for complete lateral support of the lower back. The popular Bad Backs Half Roll is designed to support the curve of the lower back. 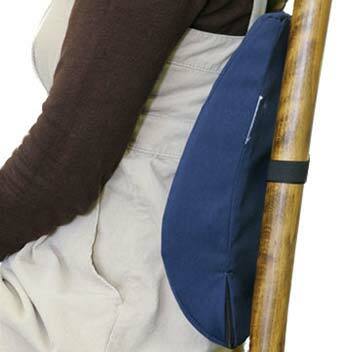 The KP Back Companion is indeed a good friend to a bad back providing excellent postural support, especially in the lumbar area. It’s mesh fabric provides breathability in hot weather, and takes the shock out of rugged driving conditions. To help alleviate the symptoms of back problems it is essential that professional advice and treatment is sought together with the maintenance of good posture in all the activities of our daily lives. Comfortable and shaped to fit any back, it is ideal for traveling or working in any location. Simply open the patented valve, roll up the back cushion to express the air, close the valve and you are up an away. Small and compact and ideal for any trip, just drop it in your bag or briefcase. It only weighs 99g! The Airgo Active lumbar cushion was designed to make static sitting more dynamic, and offers relief from back pain while sitting in cars, offices and at home. 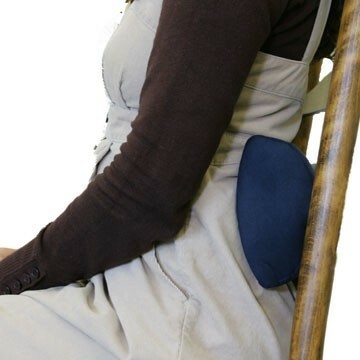 This unique back cushion takes up the vibrations of the spine and supports the physiological straightening of the upper part of the body. It also promotes the active relaxation of the body muscles. The U-shaped cut-out section helps relieve painful pressure on the tailbone or coccyx. This Bad Backs Small ergonomic seat cushion or wedge is angled to neutralize the concavity of sunken and sloping seats that compress the body and spine. When using with a sunken or sloped chair or seat, this cushion brings the body to a more neutral position by “filling in” the negative space and offering pelvic support to help promote proper posture and help alleviate discomforts associated with sitting for long periods. Light as a feather, and easy to inflate and deflate with its patented air valve, this is the simplest, lightest and most portable air filled outdoor seat cushion we have seen. When you want to use the Lite seat, just open the valve and the air rushes in and automatically self inflates itself. Just lock the valve. 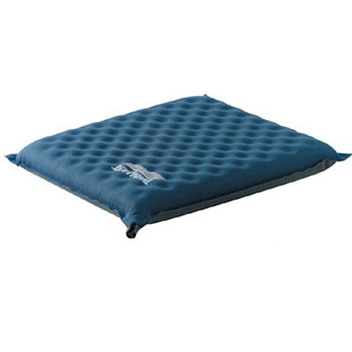 From US market leader Therm-a-Rest® this super new camping and seat cushion is the ideal lightweight outdoor cushion. 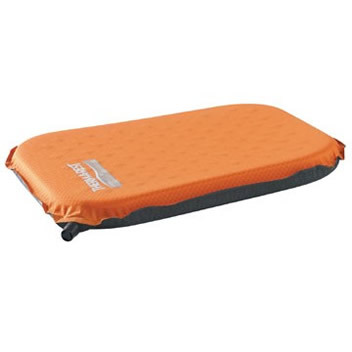 Self-inflating , it is the largest, thickest seat cushion Therm-a-Rest® makes, offering maximum comfort for those hard outdoor sitting surfaces. 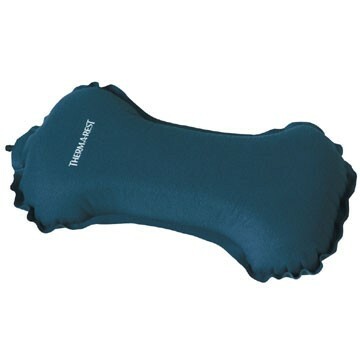 It’s made of a premium-quality foam, covered with plush water resistant stretch fleece, and features a nonslip bottom. 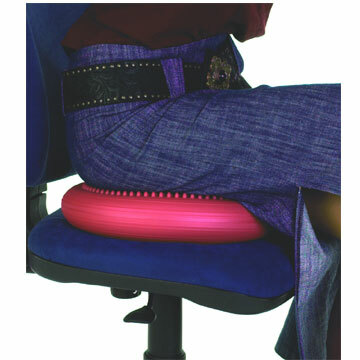 The Active dynamic sitting cushion is anatomically designed, and required minimal inflation. It optimizes pressure distribution and transforms weight shifts into fine motoric pelvic movements. You hardly notice the movements and are not distracted at all. Dynamic sitting means that the vertebrae are exposed to continuous shifts between load pressure and relaxation, which trains the musculature and optimizes your upright position. As a portable seat…it is easy to take along; as a car seat, on the bus; as a stadium seat, at a concert; as an office ergonomic seat. As a cushion for outdoor chairs, a camping cushion and so on. A new dimension in sitting. 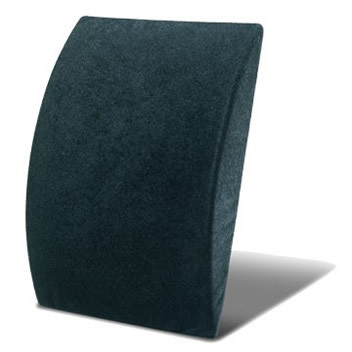 The Dynair Premium Seat Cushion provides the benefits of the classic wedge cushion and ball cushion in one perfect product. Ergonomically shaped to encourage an upright posture, strengthen the back muscles and assist with back pain relief. Uniform pressure distribution also makes for pleasant thigh support. 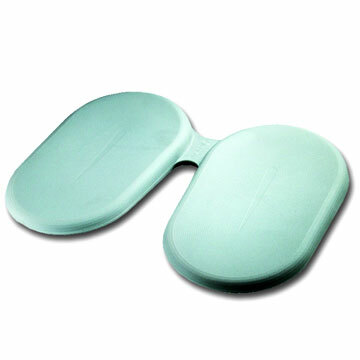 2 sided – Soft flat side for sitting, and soft knobbly side may be used for foot and back massage.